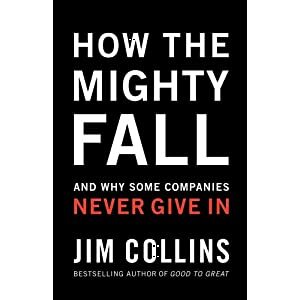 I read How the Mighty Fall by mighty Jim Collins. He is one of the strongest in the business field when it comes to research. My impression of this book is that it is targeting strengths and weaknesses in American leadership (it starts out with a reflection on a workshop regarding America). In short they need to headhunt more Swedish humble CEO’s (not to BP). Jim is updating leadership and does so by connect it to strategy over a long time period and not as business often is done today (hit and run to improve stock value or increase bonuses). There is no law of nature that the most powerful will inevitably remain at the top. Anyone can fall and most eventually do. In this book he gives many personal reflections that make the content of the book stick. In many ways I think Swedish and American leadership can be a successful mix.